The following entry is a guest post from Mr. Raymond Tarr. My name is Raymond Tarr, and I’m 66 years old. I grew up in the 50’s & 60’s. At that time our country was involved in the Cold War, and the words that many young men heard were “military commitment” (what I owe my country). I didn’t plan to go to college in 1969 so the alternative was the military draft. I got my notice in June of that year to report for service. 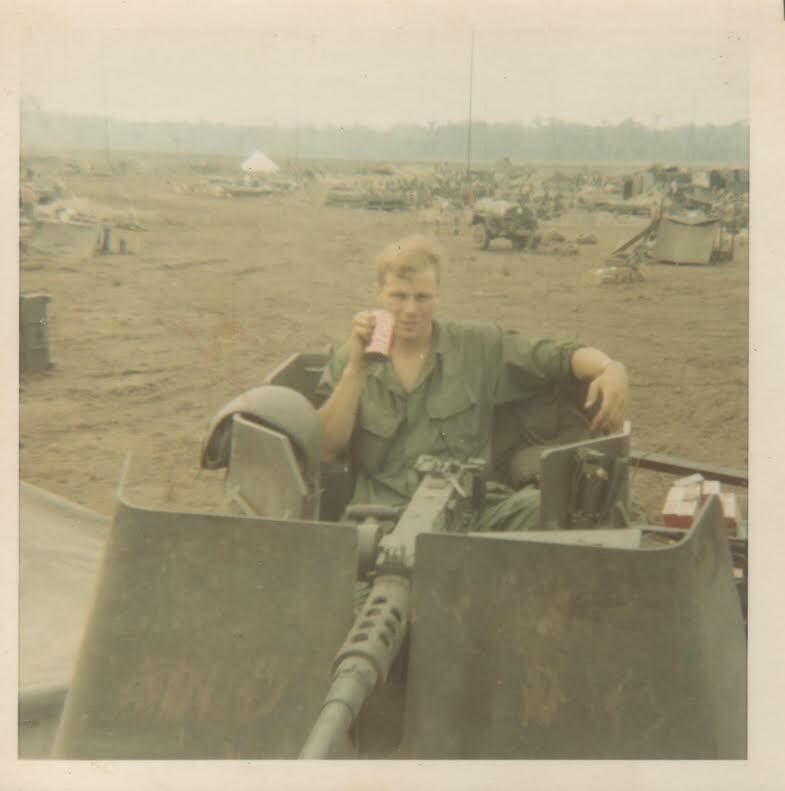 After my training was completed, I was attached to the 11th Armored Cavalry Regiment in December 1969 as a loader on a Sheridan tank in South Vietnam. There wasn’t much good about serving in Vietnam. I did see another culture from their backyard—unlike taking an expensive tour to a country for pleasure. I was in several big battles. The one in March 1970 was very significant, and years later my unit and I were invited to the White House Rose Garden where we were honored by the President. In April 1970 President Nixon gave orders to invade Cambodia. At that time the North Vietnamese used the neutral country of Cambodia as a staging area, and we assaulted their sanctuaries. On June 12, 1970 my tank led a convoy down a Cambodian road. American soldiers were carrying minesweepers and we were following them, providing protection. When I wasn’t busy as a loader inside the turret, my job was to sit on top and watch for anything unusual, which we seldom saw. About 9:30 that morning I was just riding along when we were ambushed. I was hit by shrapnel. I never saw or heard anything until I realized I was lying on the back of my tank. I could see open flesh on my left arm & left leg. There was a lot of violent gunfire around me. I didn’t know at the time that I had also been hit in the head and had lost an eye. I also had wounds in my lower back and had been hit in the abdomen. I could see the medic and my lieutenant running up the road to aid me. They had called for a “dust off”, a m edical helicopter, but it couldn’t’ land because of ground fire. Then LTC Reid, my squadron commander, landed under fire and picked me up in his helicopter. Later, they were decorated for bravery for this action. 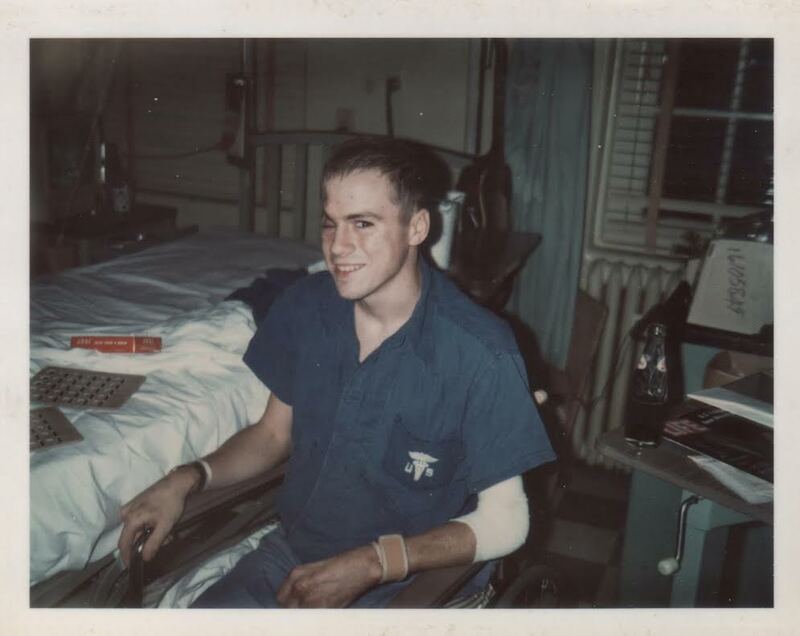 I was taken to a hospital in Vietnam, then Japan, and a month later I was flown to Walter Reed Army Medical Center in Washington D.C. When I was in the hospital in Vietnam, I realized how bad my face was. I had lost an eye and had damage to my forehead. I decided then that I didn’t want to marry my fiancée Susan and burden her with a severely wounded veteran. When I got to Walter Reed, my family and Susan came to visit me. In front of my parents and Susan, I announced that I wasn’t getting married. At the end of the visit, my parents left the room but Susan stayed. She came to my bed, kissed me and told me she loved me. She left and I cried. I felt terrible and I thought, “I can’t do this.” When she came back later that day to visit, I reached out and took her hand and I’ve never let it go. God has always taken care of me. First of all, he spared my life. When I was wounded, the loader on the tank behind me was shot through the head and was killed immediately. I didn’t have brain damage, and my left arm healed. I had no spinal cord injury in spite of wounds to my lower back. When I was discharged from the army in 1971, I couldn’t go back to work as a bricklayer as I had planned. One day, I unexpectedly got a phone call from the local VA asking if I wanted to work in their dental clinic. It would be a temporary job and they would train me. I said “yes,” and through God’s help the temporary job became a permanent one. I started working there in May 1971, a few weeks before Susan & I were married. I retired from the job in January 2000 at age 50. I was a dental lab technician and made dentures for veterans. Susan & I were married June 12th one year after I was wounded in Vietnam. My parents & family helped us build a house. We had two children and continue to actively serve the Lord in our church. 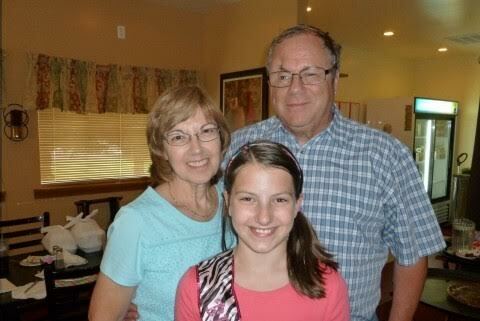 If you would like to contact Raymond about anything from his post, you can do so by emailing him at lauraforhopeandhealth.org. « PUMPKIN CHOCOLATE CHIP OAT BALLS|CRAVING CRUSHERS!